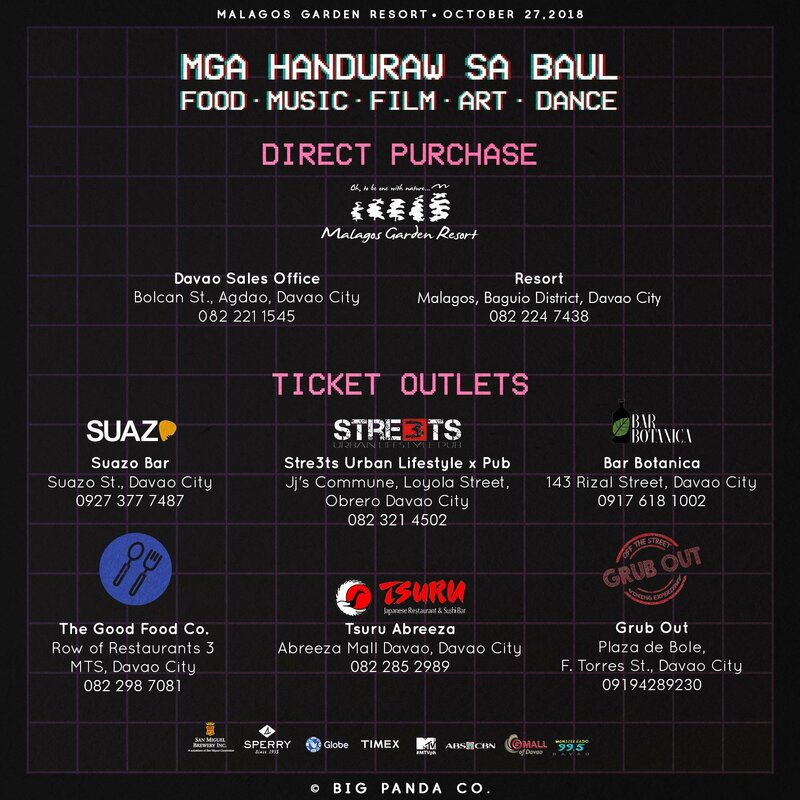 Davao's Mga Handuraw sa Baul returns to the Malagos Garden Resort for their 3rd edition this October. Joining the festivities this year are CRWN, Autotelic, December Avenue, Butta B, Loop, Anne Mendoza, and The Sound of 60. Davao-based dance group Fusion are also set to make an appearance. Limited early bird tickets priced at 650 PHP are on sale now. Regular tickets will be sold at 850 PHP. For ticket inquiries and more details, please call (82) 221-1545 or message them on Facebook.